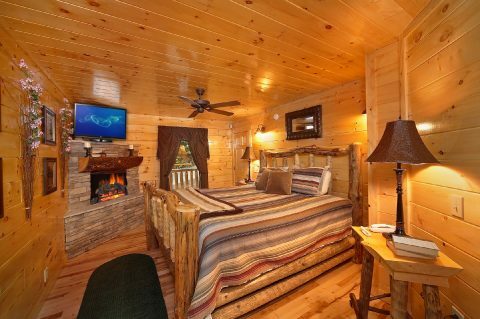 "Adler's Ridge," a 1 bedroom cabin located between Pigeon Forge and Gatlinburg in Sky Harbor Resort, provides guests with a charming cabin that sleeps up to 4 guests and provides convenient access to Pigeon Forge and Gatlinburg attractions, shows, gift shops and more. 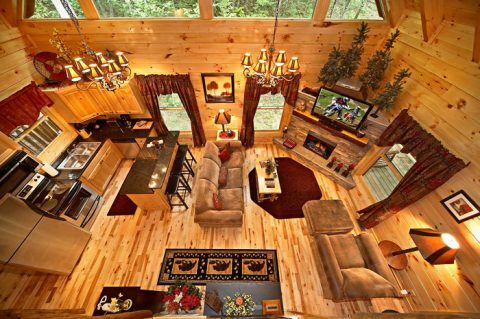 An inviting cabin with custom handcrafted log furnishings, vaulted ceilings, hardwood floors, and tongue & groove log walls, the warm earth-tones of the décor invoke the rural landscape of the surrounding Tennessee Smokies. 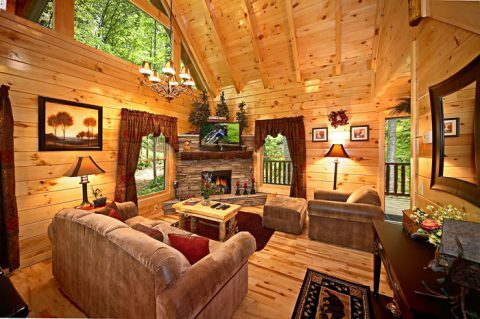 Enjoy movies on the 42" Plasma HD flat screen television with built in surround sound that rests above the custom log mantle of the electric fireplace. 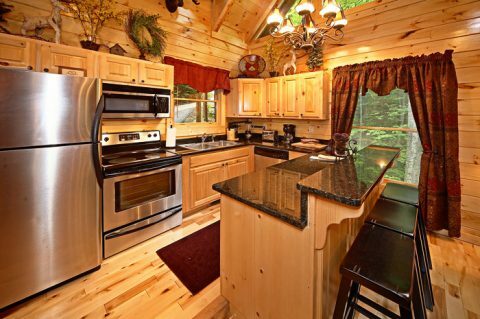 Make mealtimes simple with the cabin's fully equipped kitchen and charcoal outdoor grill, providing everything needed for cookouts, holiday meals, and quick snacks. 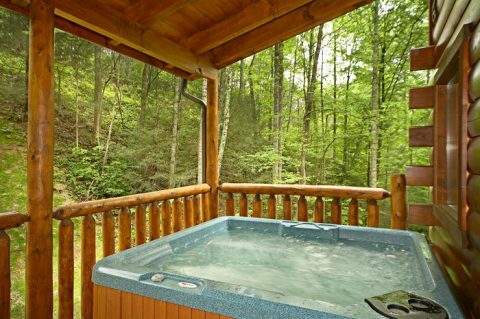 The full-sized stacked washer-dryer lets you pack light for added travel comfort. 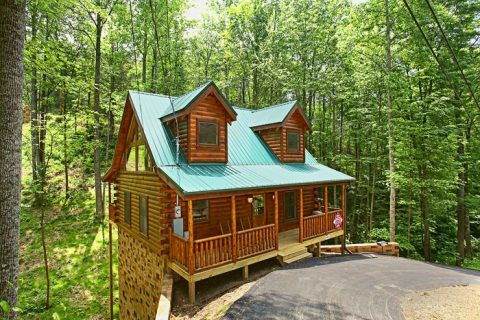 Your cabin between Pigeon Forge and Gatlinburg provides easy access to all the action with less travel time to area attractions and more time for having family fun. 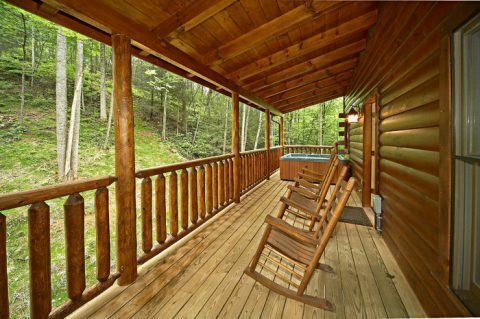 Later in the day, as you return to your one-bedroom cabin rental, discover the relaxation of your year-round hot tub on the large porch. 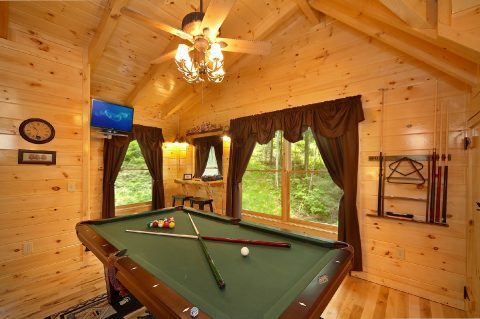 After dinner, your family or guests can play on the full-sized pool table and watch a movie on the 20" flat screen television with built in DVD player in the game room. 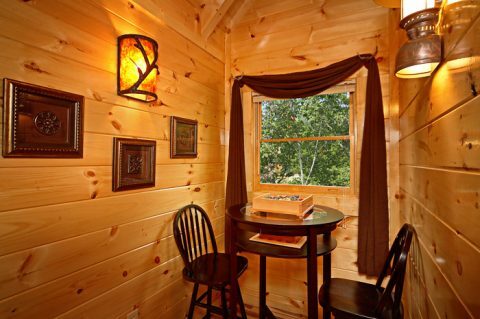 Additionally, the game room's pub table and bar provide extra seating for playing cards or other forms of entertainment. 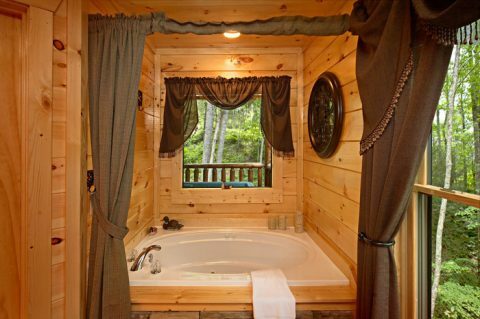 When it finally comes time to rest, enjoy the comfort of your warm and cozy master suite with king-size log bed, seasonal fireplace, private jacuzzi tub, television and an adjoining full bath. 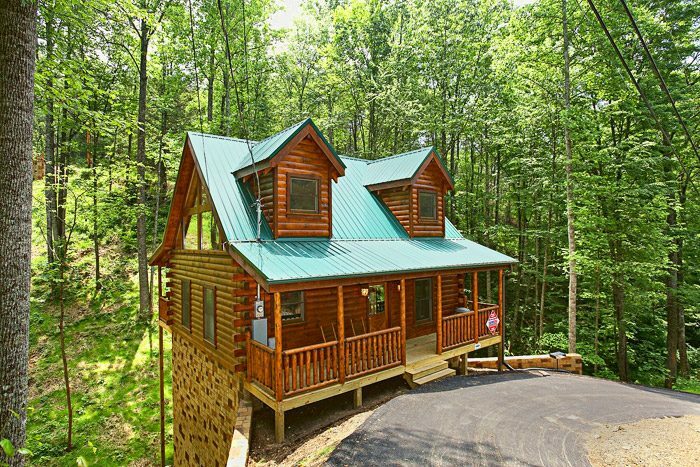 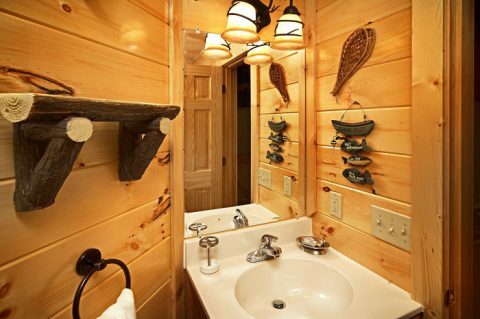 Book this lovely one bedroom cabin between Pigeon Forge and Gatlinburg online with Cabins USA Gatlinburg and get immediate Online Savings to your very own Smoky Mountains getaway!